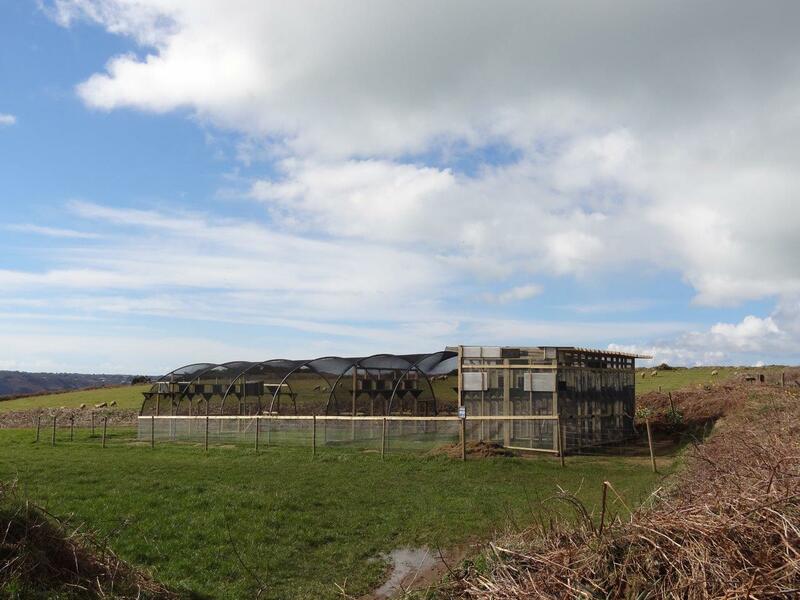 BIRDS ON THE EDGE is delighted to announce that the first red-billed choughs have been introduced to the temporary aviary at Le Don Paton, near Sorel Point, on Jersey’s north coast. The four birds currently residing in the aviary arrived from Paradise Park, Cornwall, by air (although not under their own power) on Thursday, 14th of March. They were initially taken to Durrell Wildlife Park for medical checks and fitting of transmitters and identifying leg rings. The choughs were accompanied by David Woolcock from Paradise Park who helped settle the birds in. 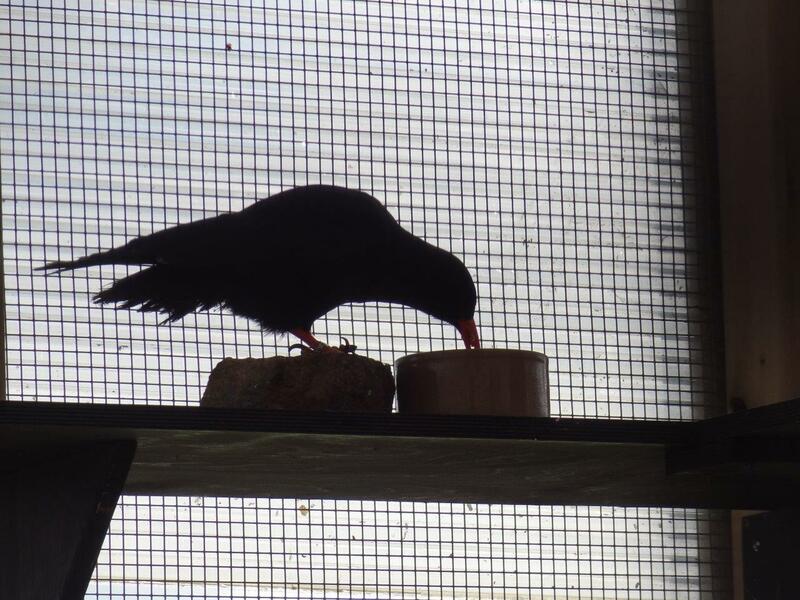 One of the choughs, George, will not be released, due to a permanently injured leg. George has been introduced in order to help habituate the new arrivals by example, due to his familiarity with people and routines. 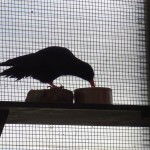 Choughs are intelligent birds, and it is hoped they will mimic George’s ‘trained’ responses, once they see him obtaining food in return for desired behaviours. George’s training has been modified to accommodate his physical limitations and can be seen on video here with his former keeper, Sarah Jayne Gribben from Paradise Park who got him to the level he is at now. The birds were introduced to their temporary accommodation later on Thursday, and are settling in well, despite the wintery conditions in the Island differing slightly from those in Cornwall, which unlike Jersey, saw no snowfall. They are currently held under in-situ quarantine conditions, in accordance with States of Jersey regulations. A further three choughs from Durrell Wildlife Park will be moved to Le Don Paton in around a week. These slightly older birds also came from Paradise Park initially, and have been on display to the public at Durrell for around twelve months. The project partners, Durrell, National Trust for Jersey and the States of Jersey Department of the Environment, would very much appreciate your cooperation in urging the public not to approach the aviary, or disturb the birds in any way whilst they are acclimatising. 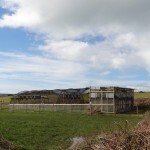 The aviary can be seen from public footpaths and National Trust land. Choughs are sensitive birds, susceptible to stress. The current residents are shy and as yet, not orientated with their surroundings. The success and timing of the project is dependent on happy, healthy birds being released in the best possible condition. We would greatly appreciate your understanding on this matter. BIRDS ON THE EDGE is very grateful to Paradise Park for their continued help with this project and to Waddington Architects for designing the aviary and helping it through the planning process. We remain grateful too to everyone who attended the Sunset Concerts in 2012 and generously provided the funds needed to pay for the aviary. Colin Stevenson, Gregory Guida and the trusty Navajo flew the birds in from Cornwall and even had to clear snow from outside the hangar in Jersey in order to fly out! Congratulations on this first initial stage of your conservation project….hope all continues to go well! We are enjoying following your updates. 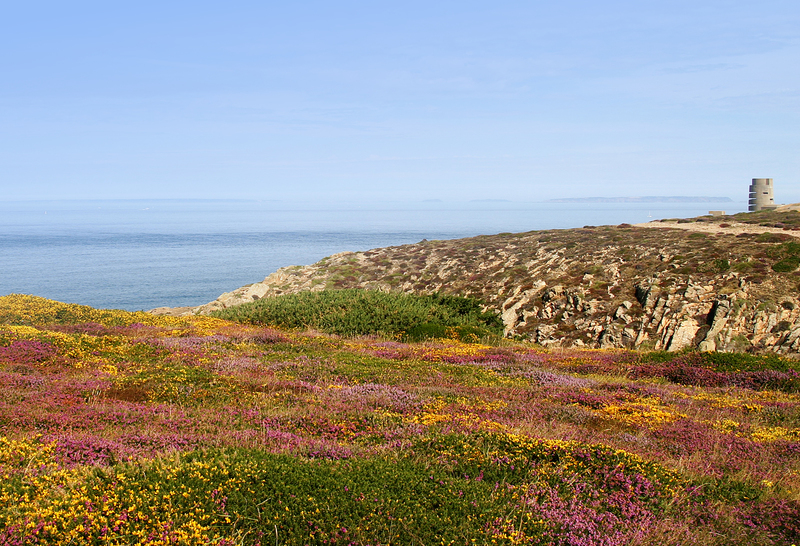 Excellent news….Good luck with the project, will be great to see the birds establish.